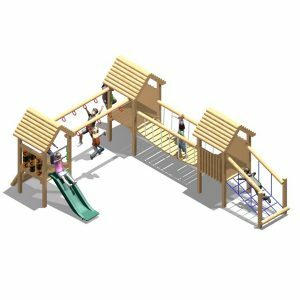 2 x Playhouses with roofs. 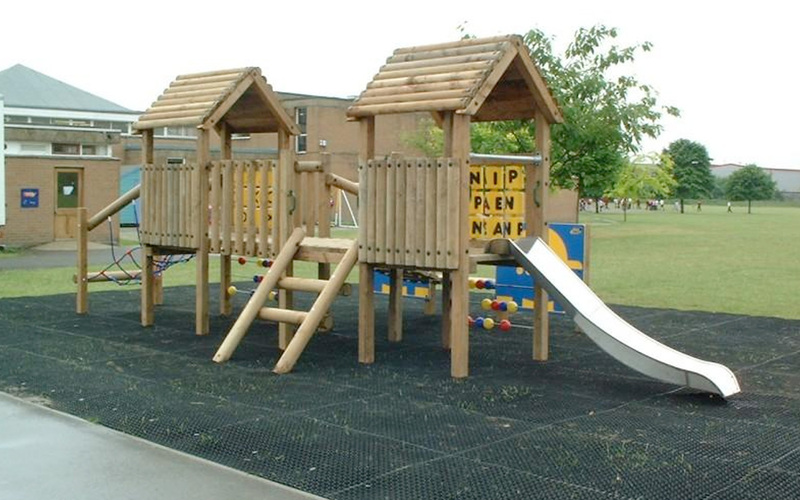 2 x OXO (noughts & crosses) or Word game panels. 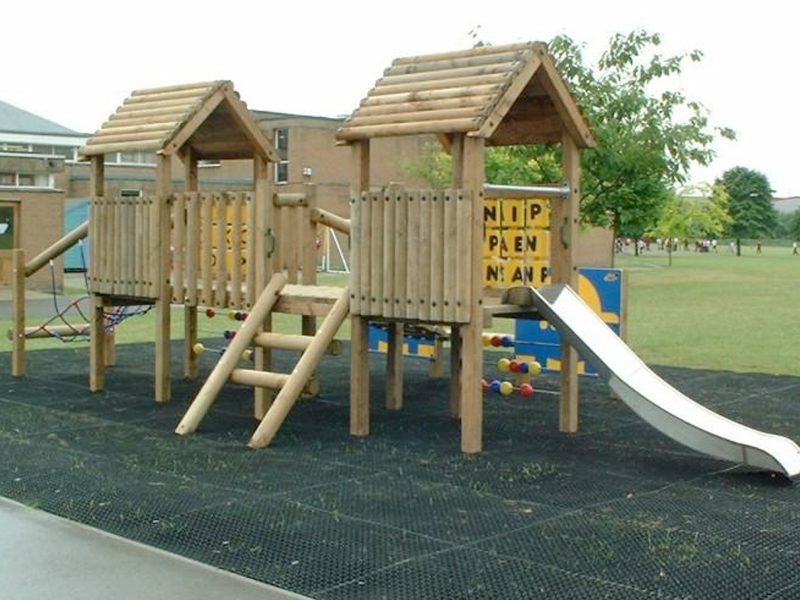 The Playville 2 is safe on grass. 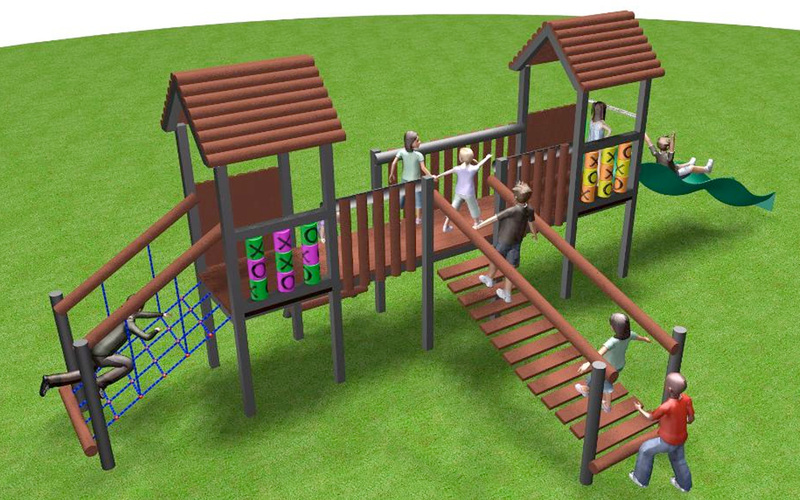 The Playville 2 has been designed for younger children moving on to Key Stages 1 + 2. 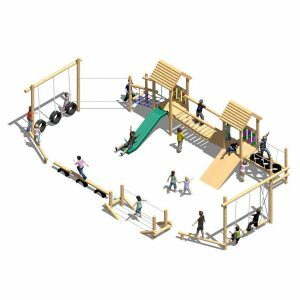 It is a more challenging unit designed for more adventerous children who wish to test their agility. 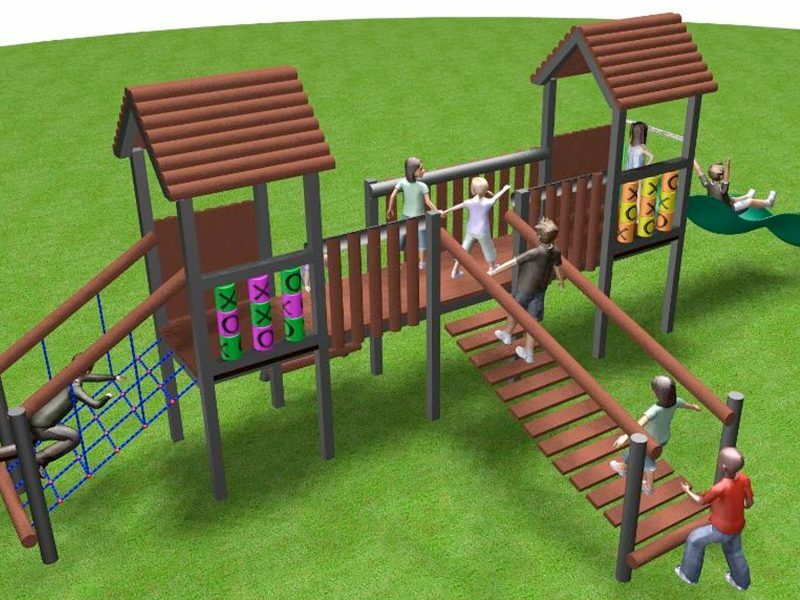 The Playville 2 is a bright, colourful unit, which is safe, stimulating and exciting. 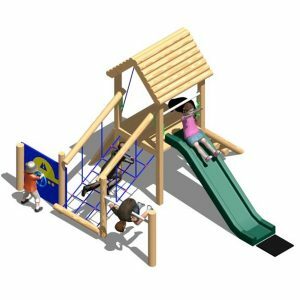 The Playville 2 is available with platforms heights of 600mm, 1m or 1.2m onto grass, or 1.5m with an additional safer surfacing. 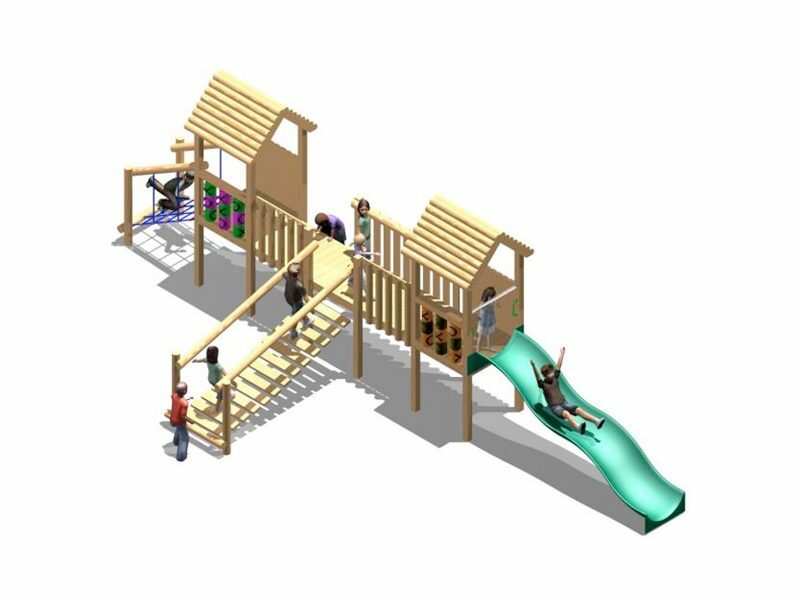 Additional features can be added to the Playville 2, including ramps, interactive game panels and colourful themed panels, nets, slides, almost anything (within reason!). 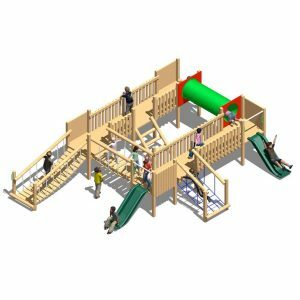 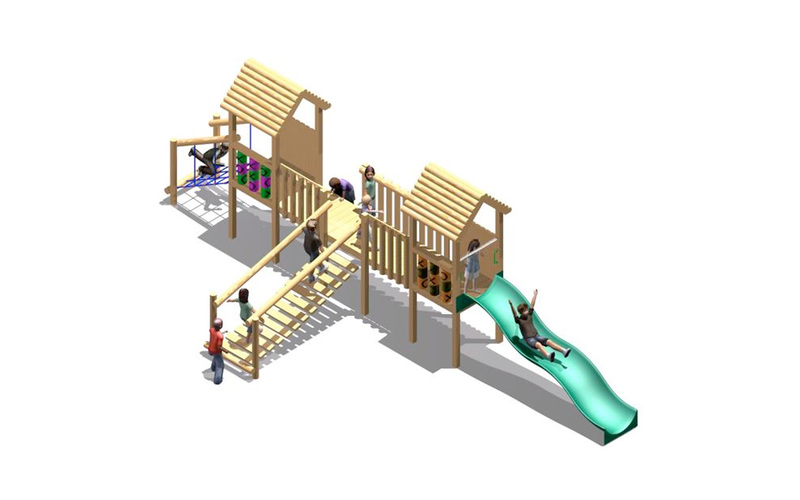 The Playville 2 can be manufactured from either timber or recycled plastic.